To solve Mathematical Puzzles, you will require Maths Skills. To solve Logical Puzzles, you will require logical reasoning. Similar to solve Observational Puzzles, you will require your visual skills. However there are many puzzles in which you will feel that there puzzle statements does not make any sense or there is no solution for the given puzzle. However if one start thinking out of box then you will be easily solve these puzzles. These puzzles requires your lateral thinking. 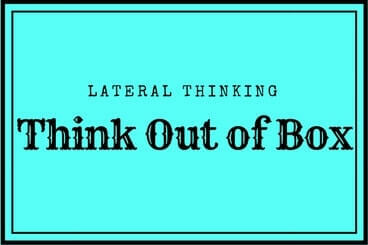 Here is the list of these interesting out of box thinking puzzles.